It comes in a simple packaging with an adorable panda print, great for traveling. 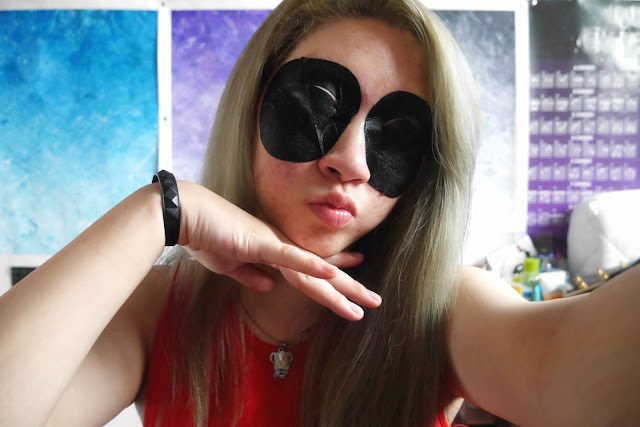 The eye patches have a whitening formulation that brightens skin around the eye area after usage and improve dark circles. It contains cucumber, potato and bamboo extracts - all well known ingredients that help to smooth eyes. It doesn't have a specific scent, it just smells "fresh". 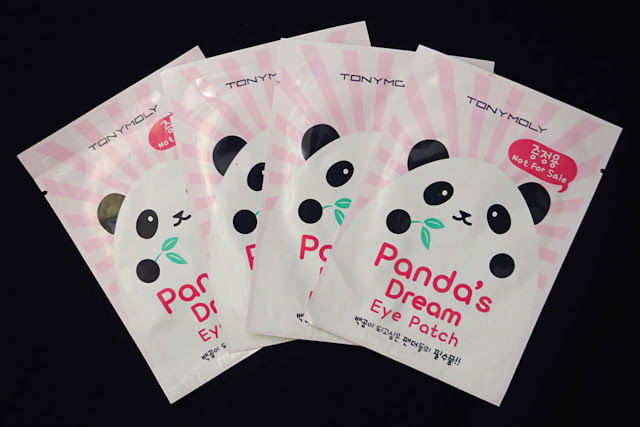 The patches come on a plastic sheet, you simply take off the patch and apply it to your eyes. The material is quite thick so it adheres to the skin nicely, however the patches do slip sometimes as there is a lot serum. The huge size of the patch doesn't really help either. There's a lovely refreshing and cooling sensation when you apply it. Very gentle and does not cause any irritation. 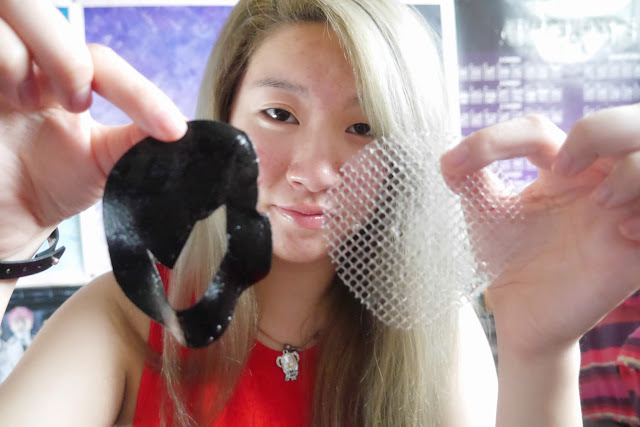 The patches are moist and drenched in a watery gel-like serum . There are flaps that you can open up, so that you can see. I left them closed so that it can moisturise my eye lids too because why not? I left this on for 15 minutes, there was some residue when I took the patches off. The residue took a while before it fully absorbed into my skin (thats why I forgot to take an after use/results photo, sorry!) I don't recommend you to use this during the morning, if you're in a rush. 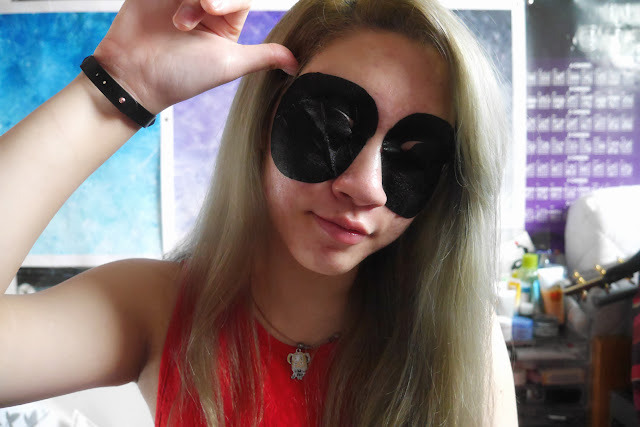 As for the results, i've used 5 sheets now and there is not any noticeable difference. It did moisturise the skin area but thats just about it. 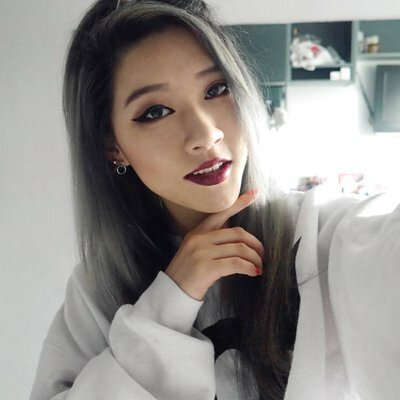 My eye area did not brighten nor were my dark circles improved. I would describe the patches as "meh" - not a terrible product but not partially good either. 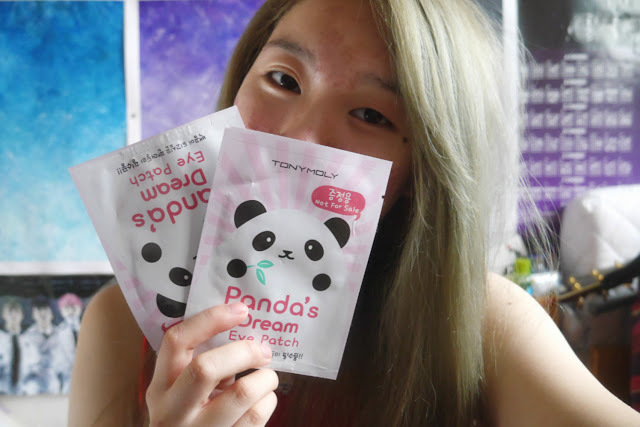 Have you tried any products from Tony Moly's Panda Dream line? ^__^ If so, what did you think of them? I see the cool stick one everywhere but didnt know these were too!